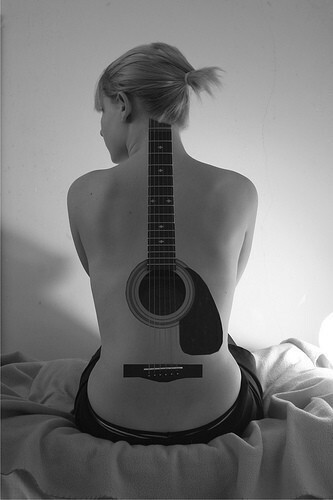 Epic đàn ghi ta, guitar Tattoo. . Wallpaper and background images in the âm nhạc club tagged: music epic guitar tattoo person girl pretty. This âm nhạc photo contains guitar acoustic and acoustic guitar.